The total of six flagships taking part in the programme will be substantially financed for the next four to eight years. 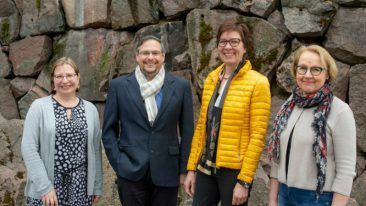 Four Finnish research clusters have been selected into the Academy of Finland flagship programme that supports groundbreaking research with high societal impact. The host organisations of the flagships include six universities, two research institutes and Helsinki University Hospital, which will fund the flagships with a total of 320 million euros between 2019 and 2022. The Academy of Finland’s contribution over the period will amount to 54.5 million euros. The new flagships are the Finnish Centre for Artificial Intelligence; the Digital Precision Cancer Medicine Platform; the Inequalities, Interventions and New Welfare State; and the Photonics Research and Innovation. 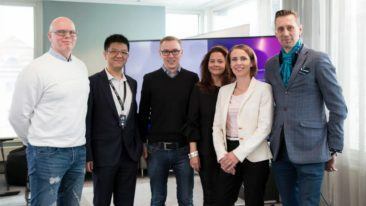 The first two flagships to make it into the programme in April 2018 were the world’s first 6G research project by the University of Oulu (6Genesis), and Aalto University and VTT’s new bioeconomy competence centre FinnCERES.